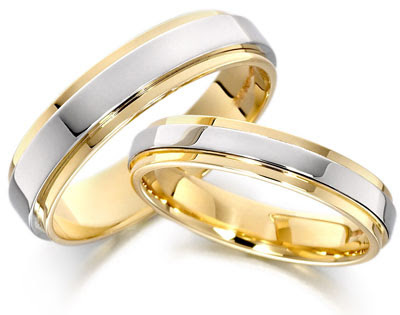 Your wedding rings are a lasting reminder of your marriage and can remind you daily of your partner. They're as important a decision as choosing your wedding dress, so take your time and do some research before you buy them. 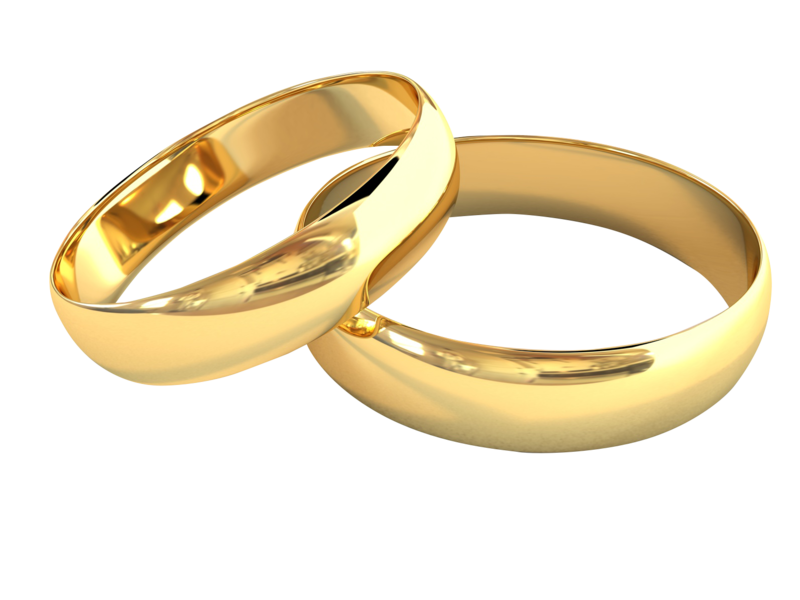 Traditionally, your wedding ring will match your engagement ring in colour and approximate style (and could be followed some years later by an eternity ring!) but it's totally up to you what you choose. Some people wear their wedding band on a chain around their neck, or wear their engagement and wedding rings separately, so they do not necessarily have to match. 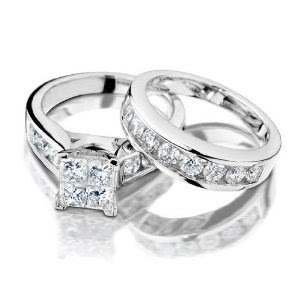 Your ring does not even have to be similar to your partner's, if your tastes are very different. 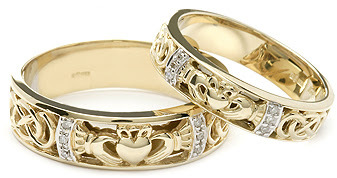 What is important is the symbolism they provide, so have fun choosing! 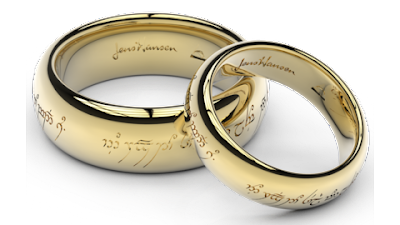 The symbolism of a wedding ring stems from the infinite nature of an unbroken circle, signifying that you will stay a couple forever. Since Roman times, wearing your wedding ring on the fourth finger is important because they believed the vena amoris, a vein in the left ring finger, connected directly to the heart. 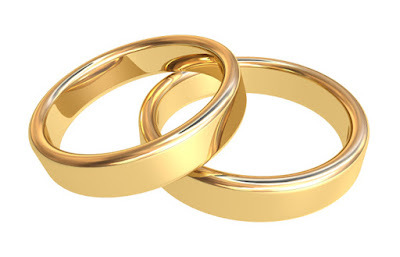 A slightly less romantic history traces back to times when weddings were primarily to connect families rather than for love, and the exchange of valuables was a symbol of security to ensure the couple would be economically sound. 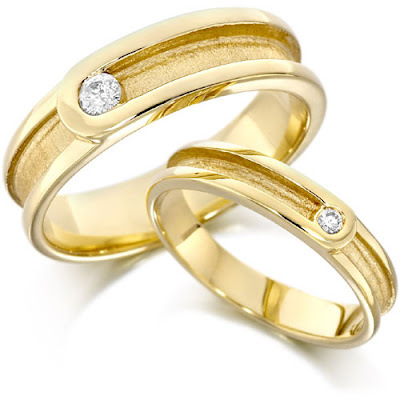 Some of the classic options available in terms of the material the ring is made from include various qualities of gold, silver, platinum and titanium, or even two different tones. 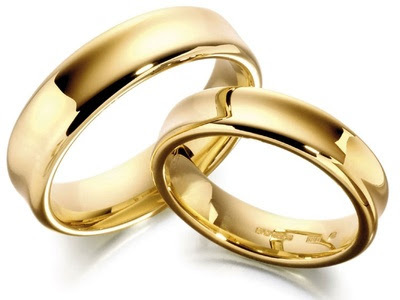 You may want a precious stone, diamond or other decoration included in your wedding ring, or perhaps an engraving of your initials, names, date of your wedding or a special inscription made on the inside of the band. 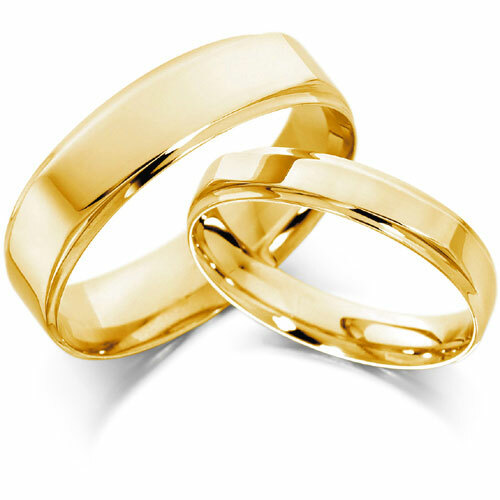 Look online or visit some jewellers with your partner to see what is available within your budget and then find out your ring sizes by either being measured at a store or using a simple measuring tool at home (you can get these free or very cheaply online from jewellery stores). Measure first in the afternoon (since your fingers will be at their largest then due to the blood flow of your activity throughout the day) then again in the morning (when you are cool) to ensure that the size is still OK. Make sure you buy your rings at least a few months in advance of the wedding date to give you time to resize or exchange them if you're not entirely happy. 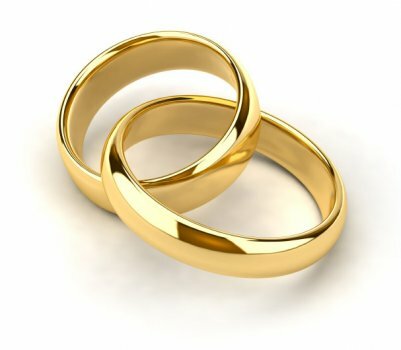 At your ceremony, your rings will be presented to you by somebody special, such as your best man or a page boy, and you might want to use a ring pillow or a special box for this purpose. 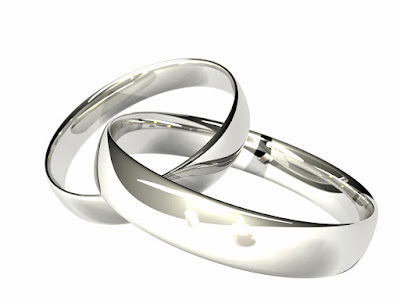 Whatever you do, choose somebody trustworthy and reliable to look after your precious wedding rings on the day!